Team members have established GISs covering large areas of rainforest, and built and analysed datasets ranging from overviews of a forest concession to details at a logging block level. The objectives have ranged from producing Management/ Zoning Plans to producing stock estimates based on raw 100% forest inventory data. 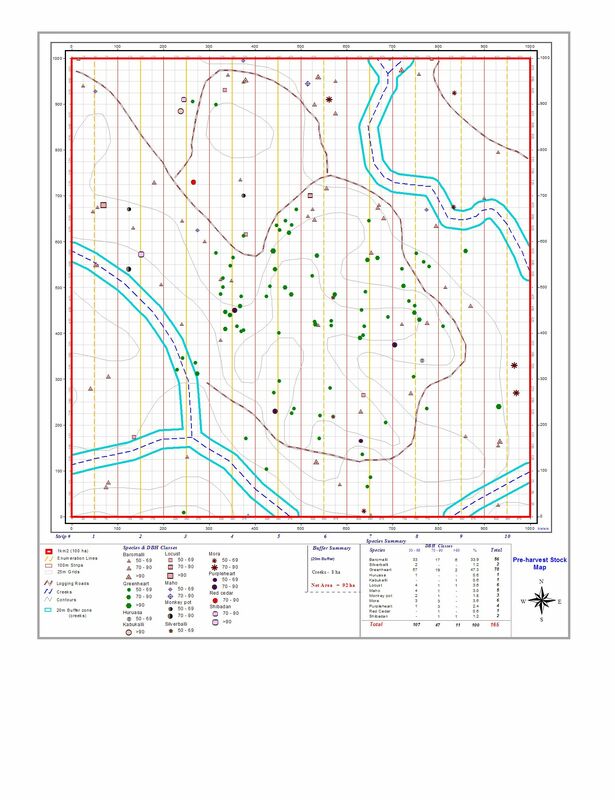 We can provide forest inventory sheets, orientation for inventory managers/ crews, processing and quality control of inventory data, and production of final mapping and tabular products for management. 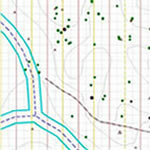 Click the image at left to see a page-sized map (426KB JPEG) of a one-hectare logging block produced from compass-and-chain tree inventory data; accompanied by prescribed buffer-zones, contours, waterways, trails and species stock estimates by size class.